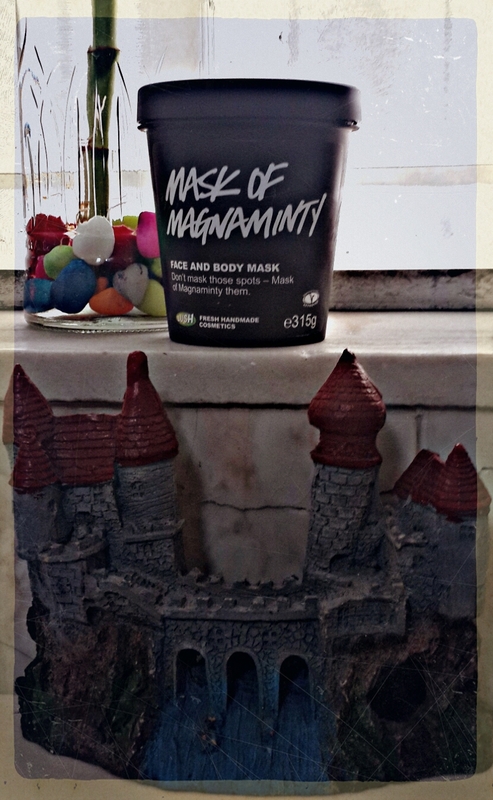 Mask of Magnaminty Face and Body Mask by LUSH! I have terribly sensitive and oily skin that’s prone to break outs and rashes, so it wasn’t a surprise that my love for makeup din’t go down too well with my dear skin (and it does remind me that every now & then!). 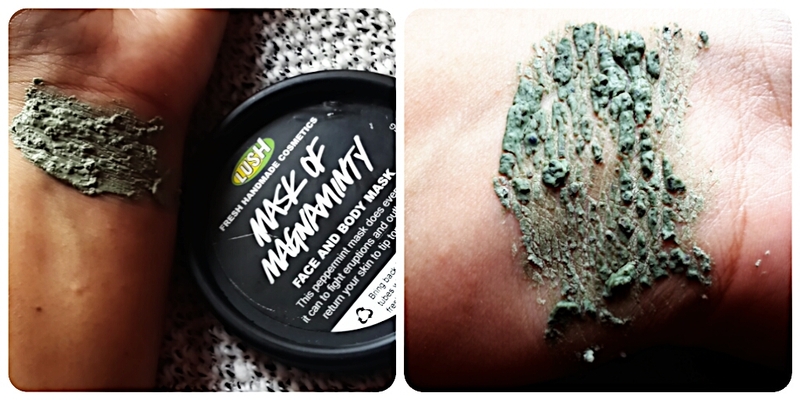 On a recent trip with my dear hubby, we walked into a lush store and the lady there recommended I try out the Mask of Magnaminty when I told her i was looking for a face mask that would draw out the oil from my skin and help clear out spots. I’ve used it for over a month now and am totally and absolutely in love with it! Mask of Magnaminty is not face cleanser or exfoliant that can be used daily, it’s a face and body mask that cleanses from deep within. As the name suggests, it is a Peppermint (minty) mask and has China Clay in it that helps to draw out impurities from deep within your skin. 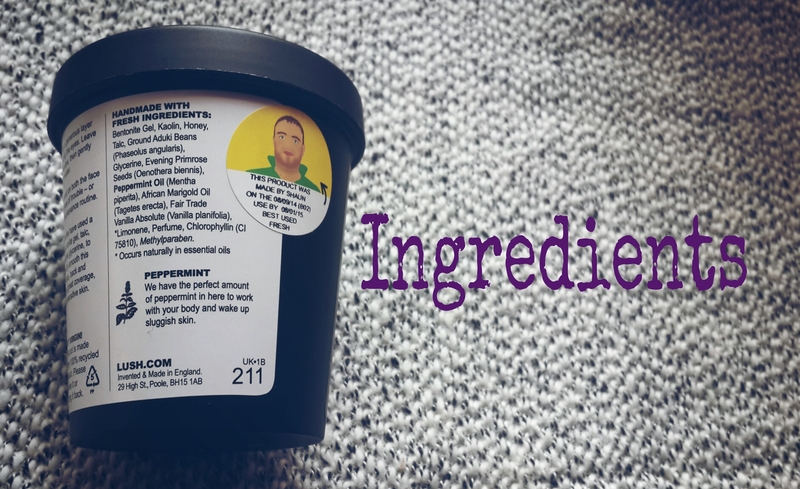 You can see here that the mask has a texture to it and that’s because it contains tons of aduki beans in it which helps to exfoliate and get rid of dry, flaky skin. There’s also vanilla absolute in the mask along with honey to help calm down redness in skin and soothe it. Because the texture is grainy, you’ll need to apply the Mask of Magnaminty very generously on your skin, or else you’ll end up with a patchy application. Leave it on for about 10-15 minutes and you’ll see how it pulls all the oils and dirt to the surface of the skin. Squeaky Clean Skin in Minutes! I prefer and recommend that you use a flannel soaked in warm water to wash this mask as rubbing it off with your fingers might irritate your skin. Not to forget that the warm flannel will also help to open pores of the skin and clean out impurities better. 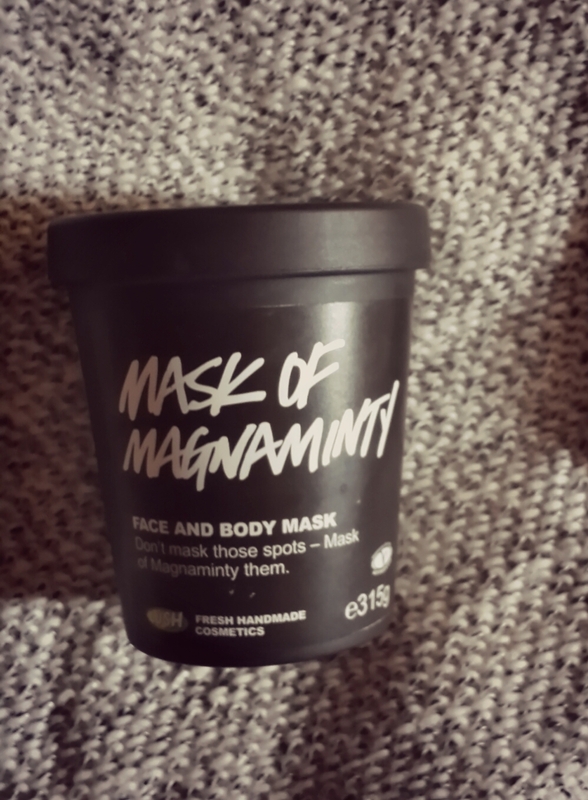 Mask of Magnaminty for me is the ‘King of all face masks’, it is intense and at the same time soothing (definitely not abrasive or harsh). I highly recommend that you give it a try and see the results. I use this mask twice a week and can already see how much it’s helping my skin. 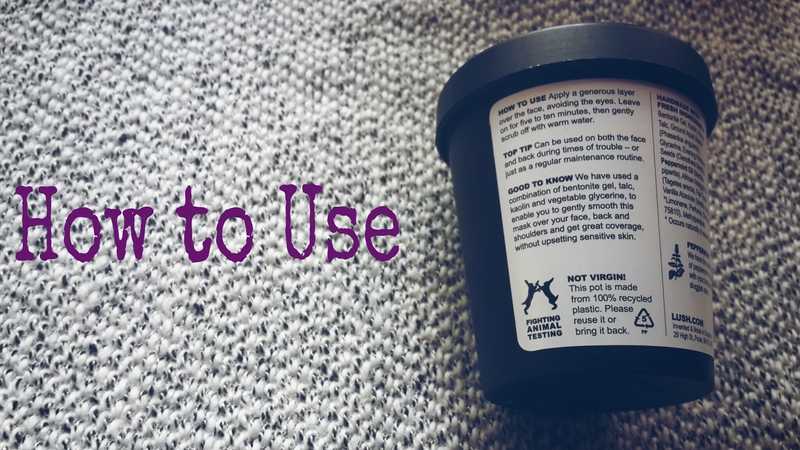 Unlike some products from lush, you needn’t refrigerate this mask, but being a handmade product it does have an expiry date, so be aware of that and keep that in mind when you pick up a tub of this mask. Lastly, I’ve said this before on my blog, but I’ll say it again…I despise animal testing & do NOT support brands or products that test on animals in any way…it’s a thought that boils my blood and makes me feel sick in the stomach. This is an attempt to spread the word that natural is definitely the way to go and for that reason too LUSH is a brand that is on the top of my list of favourites! If you too support ‘no animal testing’, please share this post & let’s help each other reach the people! 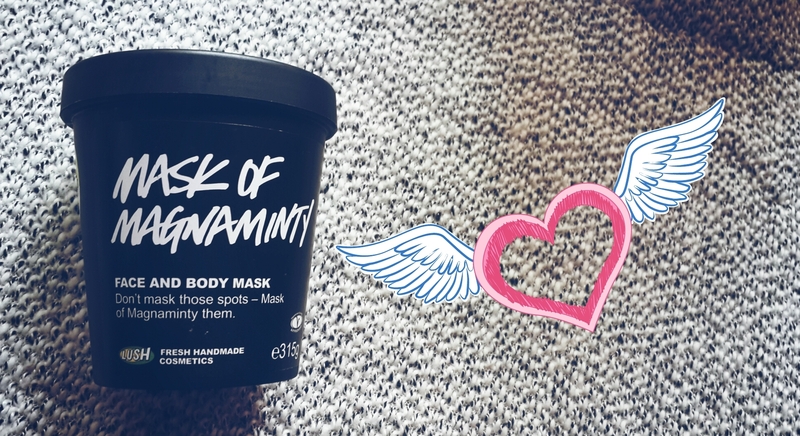 Let me know if you’ve tried the Mask of Magnaminty and what has been your experience with it…and also give me recommendations on what else i should try out next from their range!